Famous for its lush green rolling hills, the Yarra Valley is home to passionate food and wine producers, picturesque walking trails and creative artist studios and craft stores. And what better way to take in this beautiful landscape then to hop into the basket of a hot-air balloon and take flight above the undulating emerald landscape? With comfortable cushions inside the basket, this flight is a relaxing way to take in the early morning sun-drenched vineyards. When you touch down you will tuck into a delicious Champagne breakfast – there’s simply no better way to start the day. Are you a real foodie? Like dining in restaurants that are a bit quirky or unique? 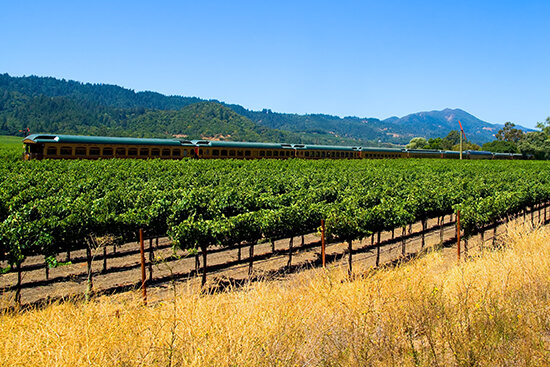 If the answer to both the aforementioned questions is yes, then I present to you The Napa Valley Wine Train. This distinctive Napa restaurant on wheels offers an authentic and memorable experience, evocative of the glory days of train travel. Think fine dining, multiple course meals, the beautiful scenery of Napa Valley, and ultimate relaxation onboard this exquisitely-restored, and vintage locomotive. Hawaii: the epitome of an exotic getaway; make it even more special with the ultimate in luxury and romance. 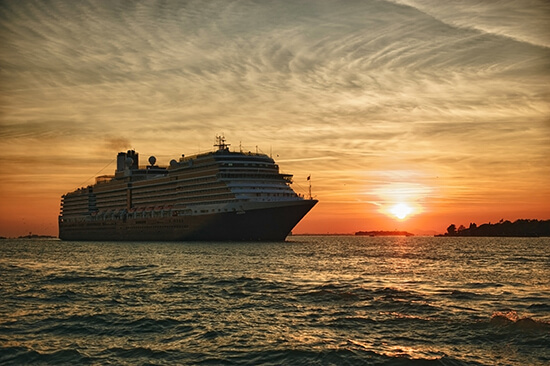 The Five Star Sunset Dining & Jazz Cruise® offers opulent dining with a seasonal seven-course dinner, served amid beautiful, water-filled surroundings. After dinner you will be entertained with jazz favourites performed by some of Oahu’s top artists in the lavish Art Deco Super Nova Room, complete with grand piano, bar, lounge and private terrace – all against the backdrop of Honolulu’s city lights. Bordered on all sides by the magnificent might of the Rockies, Banff is a mountain town that offers an alluring combination of luxury lodges, renowned restaurants and perfect powder. Take in this spectacular town from the skies on an exhilarating 20-minute helicopter tour. Cruise at 100mph as you climb above the Rocky Mountains and pass the impressive massif of Mount Lougheed while your pilot regales you with tales of mountain history and indigenous settlers. Why not make the trip even more special with some added extras? You can buy a bottle of sparkling wine, pay for a front seat upgrade or even add in a one-hour exploration hike if you’re feeling adventurous. Want to be the next Danny Willett, Lee Westwood or Tiger Woods? Why not get some practise in at one of the most extreme and picturesque golf tees in the world? 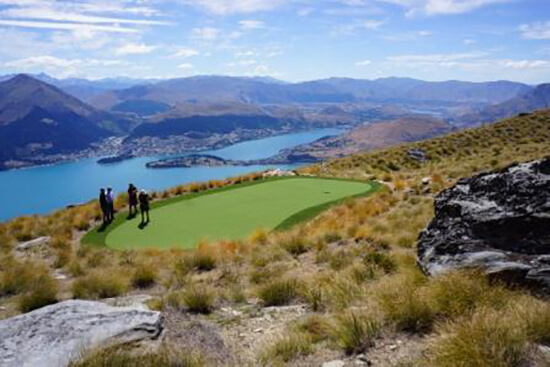 Poised at 1,370 metres in the Southern Alps of New Zealand, this par 3 unique golf experience overlooking Queenstown has four tee boxes for the altitude golfer to attempt their hole-in-one. Players access the course by helicopter, taking in the breathtaking scenery before teeing off on a course like no other. Worried about sustainability? Never fear. All players use eco balls to ensure that no harm is done to the pristine environment. Don’t just have a holiday, have an adventure. To find out about creating your tailor-made luxury Journey, speak to one of our First & Business Travel Experts today.